First off, Merry Christmas and I hope you are all enjoying the time off with family and friends! 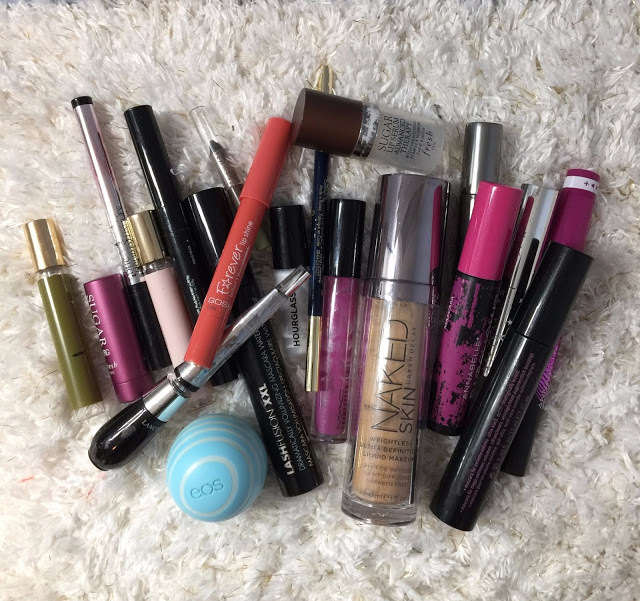 Throughout 2017, I’ve been saving all my makeup related empties into one bag. I wanted to see how much I actually can use up. So now I’ve dumped all the items back out and it was so fun to see all the items together. 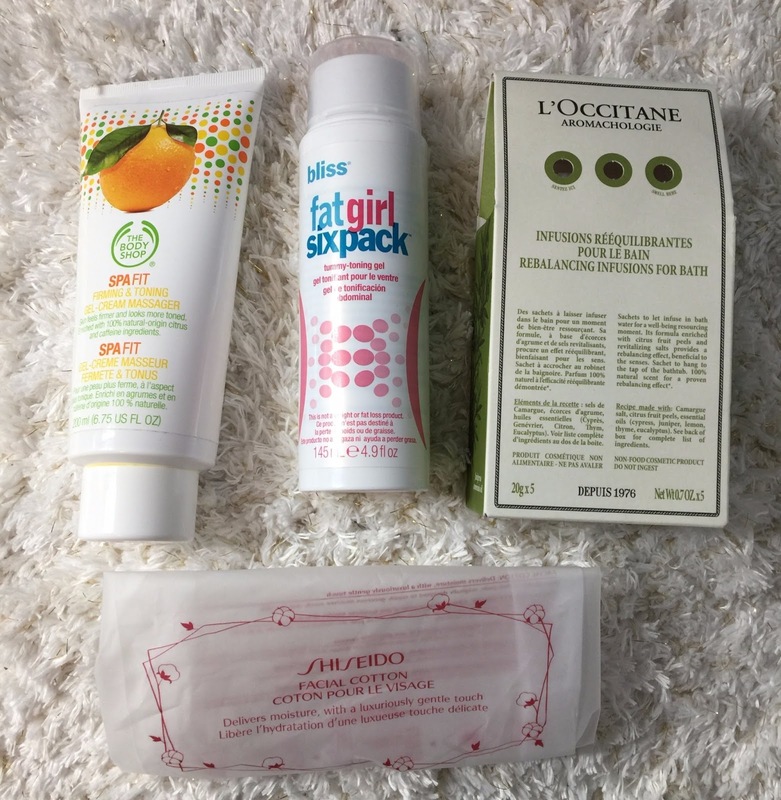 I’ll link any products that I’ve had a review on so you can take a closer look! 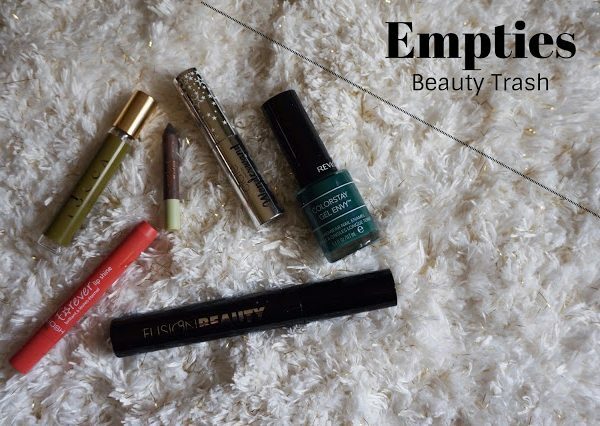 The easiest makeup items to use up are mascaras as you’re suppose to throw them away after 3 months anyways. This year I used up 6! My favorite was the Annabelle Big Show and Benefit They’re Real. 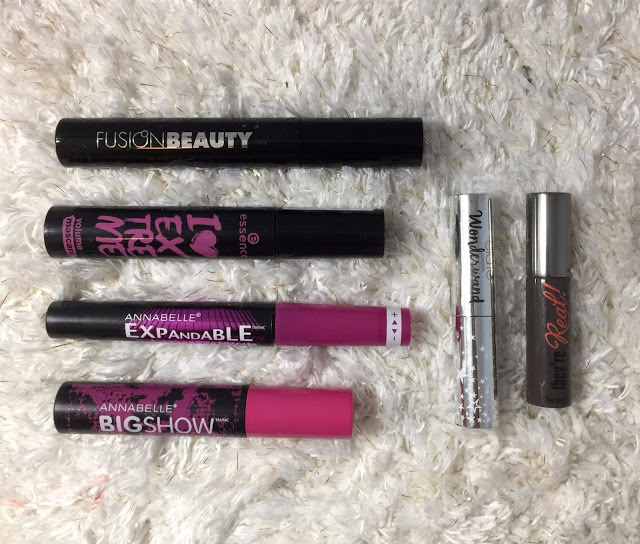 The other items I have are Fusion Beauty, Essence I Love Extreme, Annabelle Expandable, and Ciate Wonderwand. I’ve only gotten into doing my brows last year and surprisingly I have 3 brow products used up. My favorite was the Fusion Beauty. 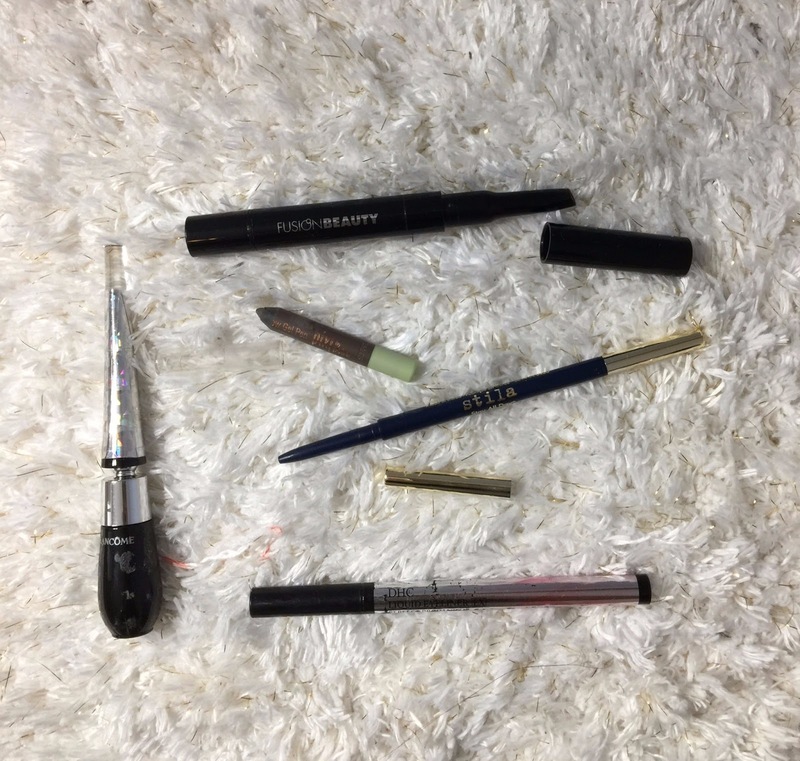 The other two are the Pixi Brow Gel and the Stila Brow. I also started using liquid eyeliners about two years ago and haven’t used a pencil since! 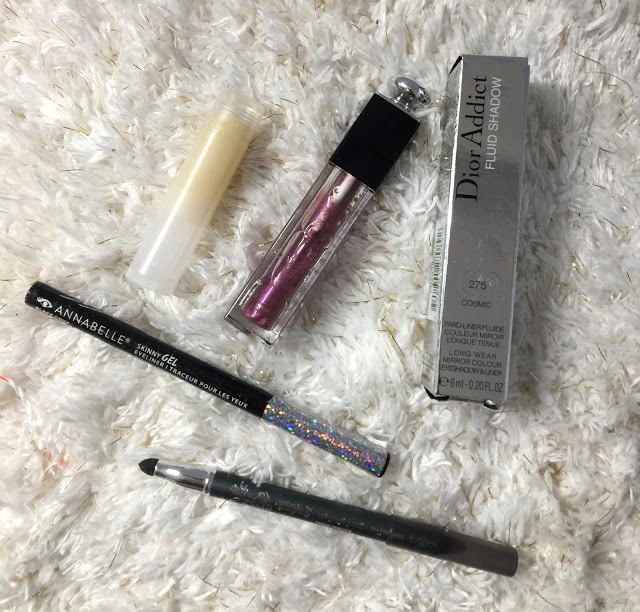 I love the DHC liquid eyeliner! The Lancome one was okay too but not as pigmented or long lasting. 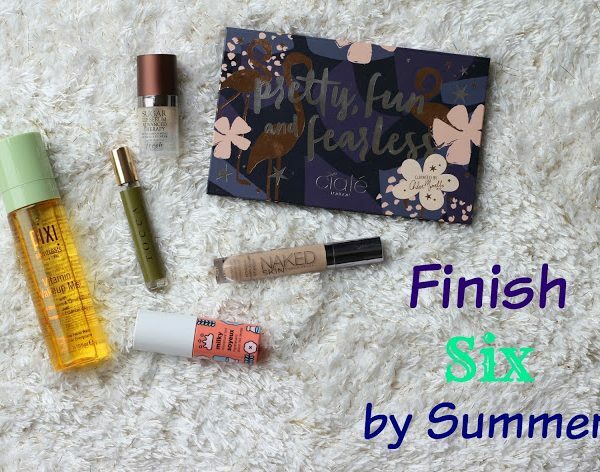 I’m also pretty good at finishing lip products and I was a fan of all four of these! I have the Fresh Sugar lip balm in Fig, Fresh Sugar Lip Serum, GOSH Forever Lip Shine, and MAC Creamsheen in Narcissus. Here are a couple other miscellaneous items. I’m loving the Tocca perfumes I got from the Black Friday set last year. 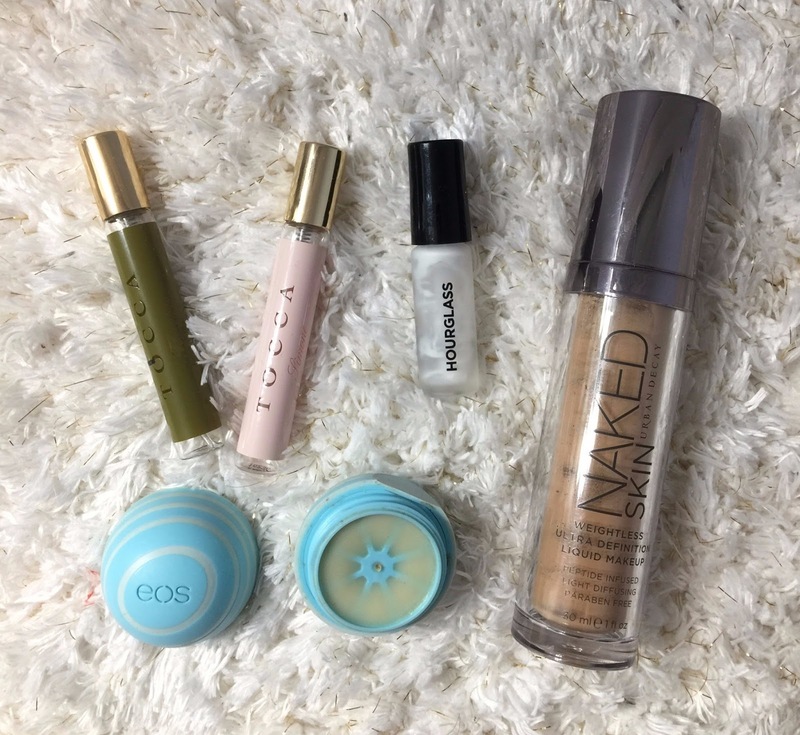 I’m not sure how I feel about the Hourglass Veil Primer but the Urban Decay Naked Skin is one of my all time favorite foundations. Lastly, an EOS lip balm. 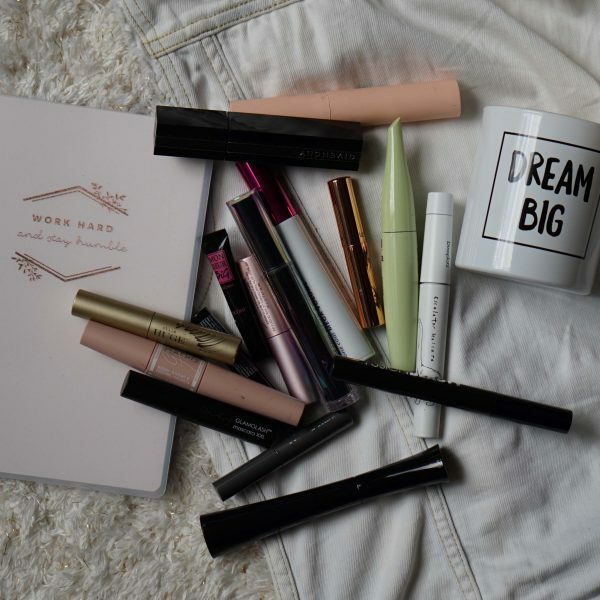 As you can see I need to work on some eyeshadow/cheek products! I’ve actually hit pan on a few eyeshadows this year but no where close to actually finishing one. I’d love to pan a few cheek products next year. I also cleaned out my empties bin one last time! -NYC Quick Minute 🙂 This was such a fast drying top coat! -Shiseido Facial Cotton 🙂 Yes, big fan and worth the extra dollars! 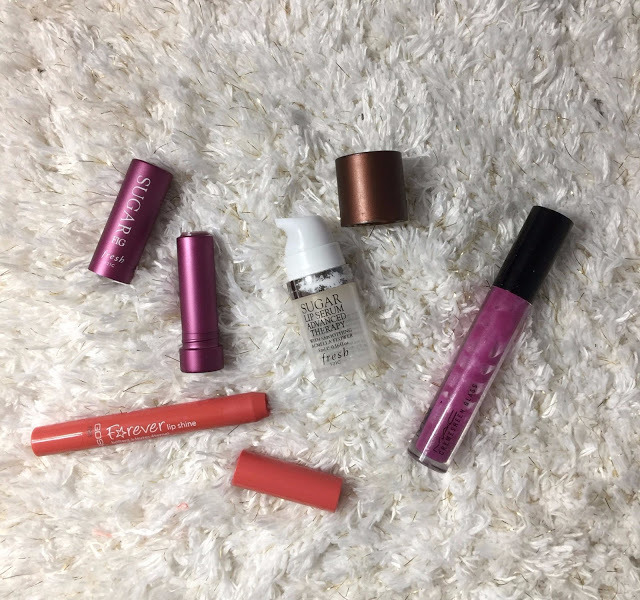 Here are a few products I had to throw away because it was too old! And the Annabelle eyeliner broke before I got to use it. I love facial wipes and here are four I finished. I surprisingly really loved the Clean & Clear ones. The Simple ones are classic favorites. The Sephora one was okay but not as good as the others. 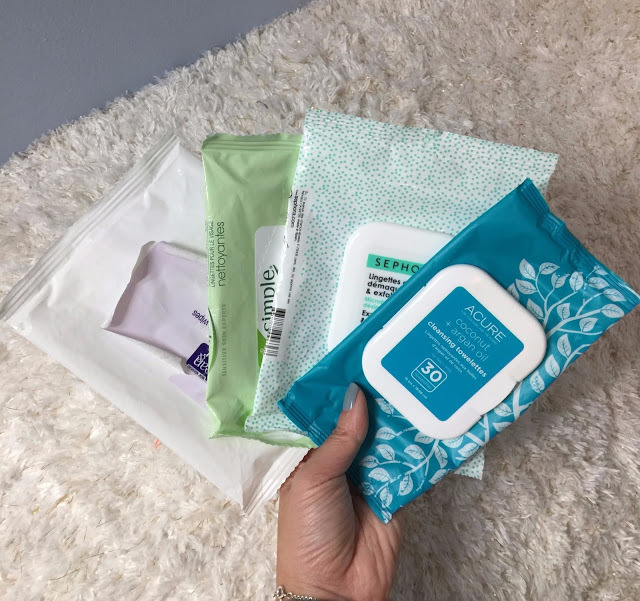 The Acure wipes are very thin and dry and better used to clean the body than taking off makeup. 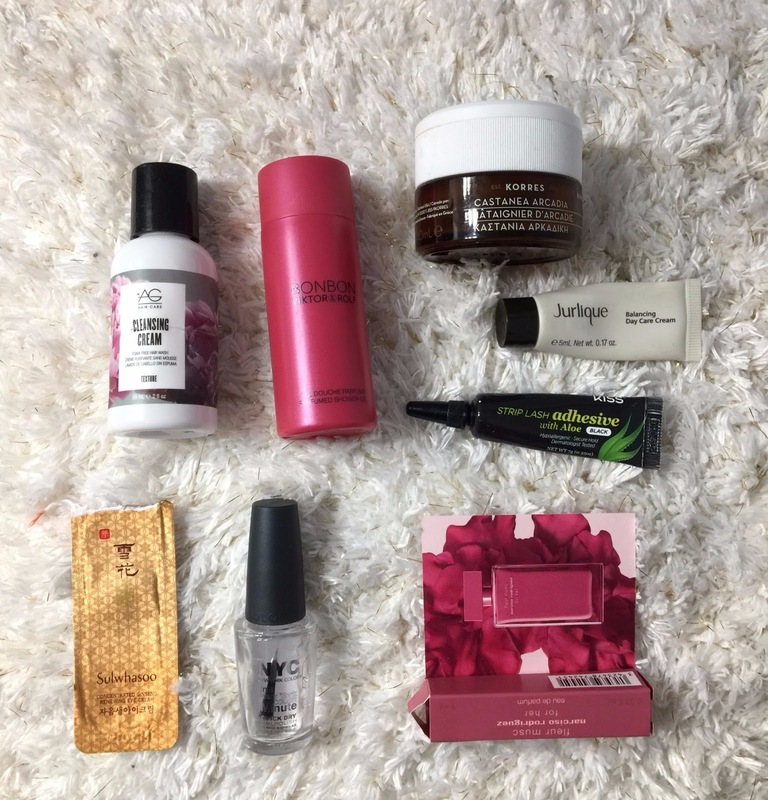 Please link me to your empties and let me know what you used up! 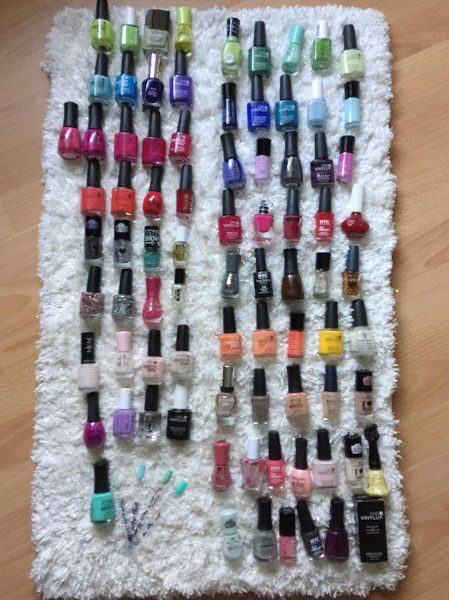 Nail Polish Collection Declutter- Almost 50% decluttered!